Dentists recommend regular check ups twice a year. If you have insurance we can check with your insurance to determine the frequency. Most of us are too busy to remember to schedule these appointments and we at Affordable Dental make it easy for you by allowing you to schedule appointments months in advance. 1. Does the dentist consider you a partner in your treatment planning? Rather than just telling you what to do, he or she should explain the results of the exam and work with you to develop a total treatment plan based on the big picture of your oral health and wellness. The dentist should make recommendations based on your needs not just on insurance availability. Remember, you want a dentist who can offer enough information in language you can understand so you can help to make an informed decision. 2. Does the dentist ask for a complete medical history? Your detailed medical history will be important for many reasons including determining allergies and possible drug interactions or tolerances. 3. Does the dentist do an oral cancer screening? This should be routine at your initial exam and then there should be a follow-up during every cleaning appointment. Your dentist needs to look not only at your teeth, but at your entire mouth. 4. Does the dentist check thoroughly for gum disease, decay, and correct bite? A thorough initial exam includes using a periodontal probe to check six points on each tooth – three on the cheek side and three on the tongue side to check for the depth of possible bone loss caused by gum disease. As a follow-up, periodontal probing should be done by the dental hygienist at every cleaning. Also, at the first exam, the jaw and teeth relationship and the contact points in your bite should be checked. This is important because changes in your bite can cause stress and cracked teeth. 5. Does the dentist take the proper number of x-rays for your individual case? ​The number of x-rays taken should be personalized for your individual case. The x-rays are necessary to make sure your mouth is examined for decay between each tooth, and to check for bone disease, cysts or any other type of problem. Many dentists will provide a free consultation prior to providing service. Consider all of these questions and observations as you visit and also assess how you are treated by the staff and doctor. With this, you should be well on your way to finding a great dentist that can serve you well. 1. What is your philosophy for performing dentistry? 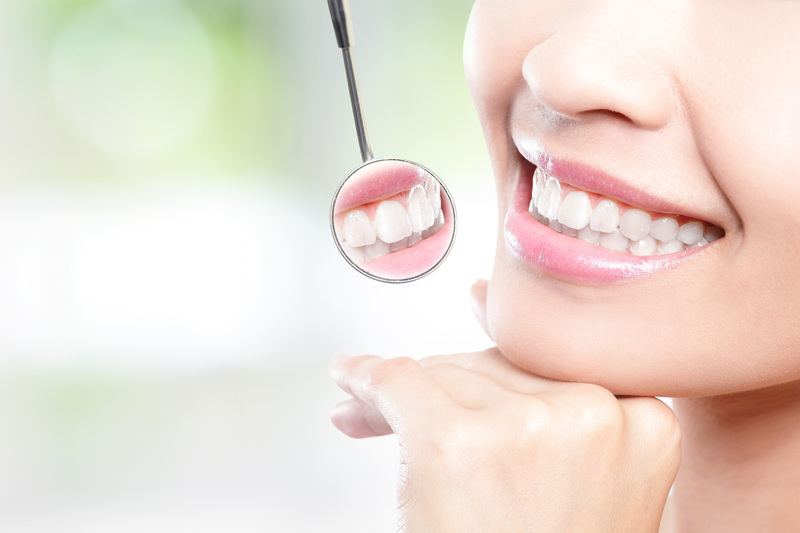 ​For instance, what determines your choice of putting in a crown rather than a filling? How do you decide whether or not to pull a tooth? Under what circumstances do you refer a patient to a specialist? 2. Do you maintain a DMF (Decayed, Missing, and Filled) record? The DMF record is a charting system that tells all of the work that has been done on your teeth and what work needs to be done. You should be allowed to see your probing chart, your x-rays and your DMF record. 3. What dental services do you offer that may meet special needs in the future? ​Can the office provide cosmetic dentistry, sedation dentistry, dental implants, help with headaches, teeth straightening, or laser dentistry? Can they treat all members of the family? While you may not need all of these services, it is helpful to know how broad the dentist’s training is to meet special needs that may arise in the future. Some things can only be learned by observation or by asking former or present patients for their opinions.